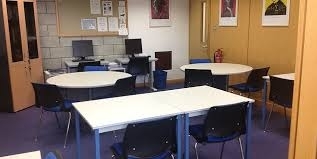 North Kerry College of Further Education has an Open Learning Centre. Its main aim is to provide support to all the PLC and VTOS learners studying in the college. Many learners returning to education as adults experience stress and anxiety when confronted with academic exercises and tasks. This can be caused by many factors, including leaving education early, resulting in a lack of the skills required to complete projects and assignments, poor time management and study skills. The Open Learning Centre seeks to address these difficulties through supporting the learners to achieve their full potential, successfully complete their programmes of study and graduate successfully with QQI certification.